Police say the two 8th graders were speeding down West Fuqua, racing against another 14-year-old boy, driving a Ford Expedition. The crash was caught on camera. 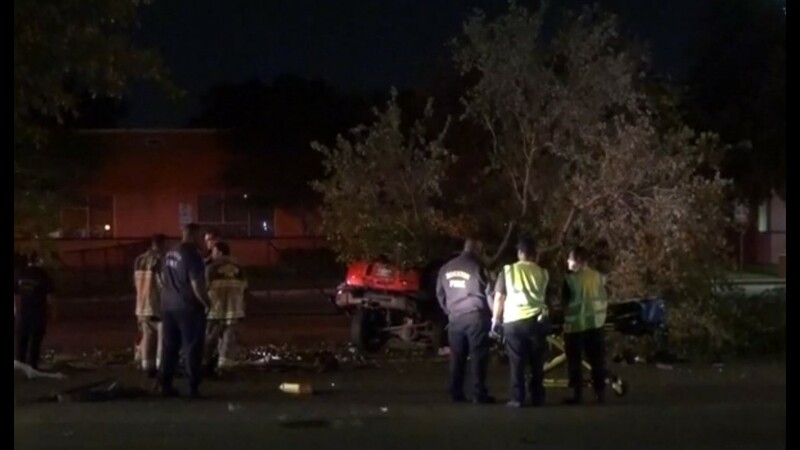 HOUSTON -- Two teenage boys, not even old enough to legally drive, were tragically killed early Wednesday morning, during what police say may have been an alleged street racing crash. Another teen is now facing felony charges in their deaths. 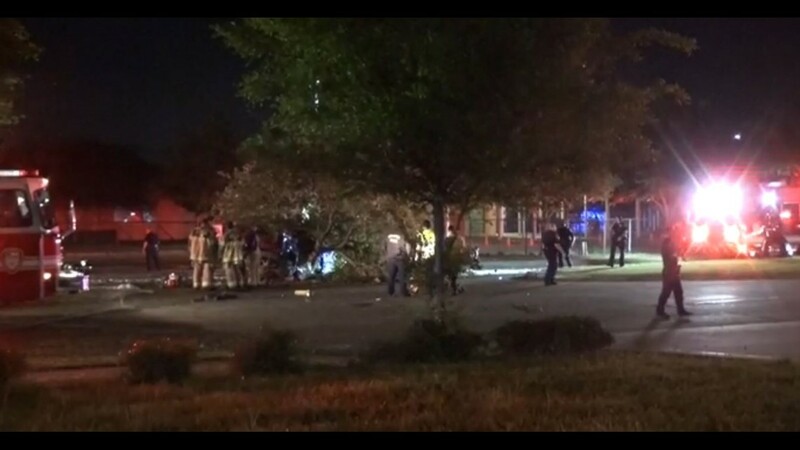 The accident was caught on a nearby business surveillance camera. 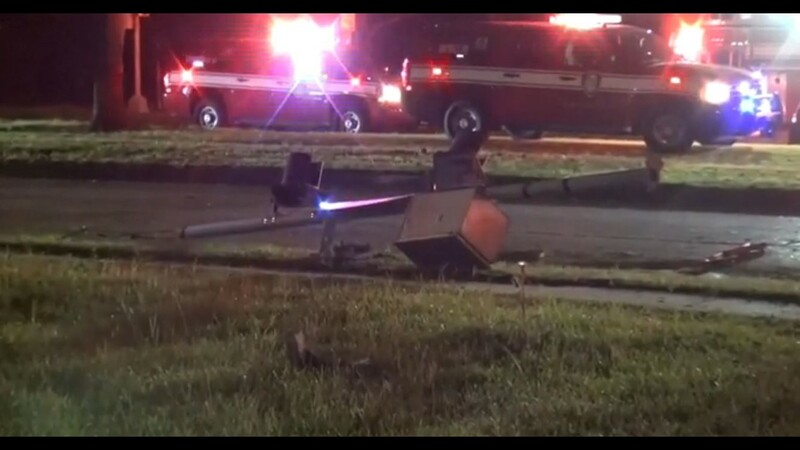 It happened just before 2 a.m. in the 4000 block of West Fuqua in Southwest Houston. 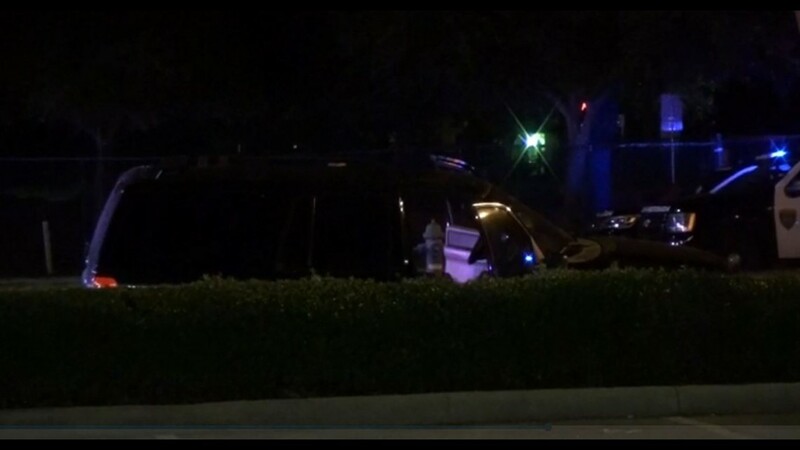 Officers said two 8th-graders were speeding down West Fuqua in a Ford Explorer, racing against a 14-year-old boy driving a Ford Expedition. 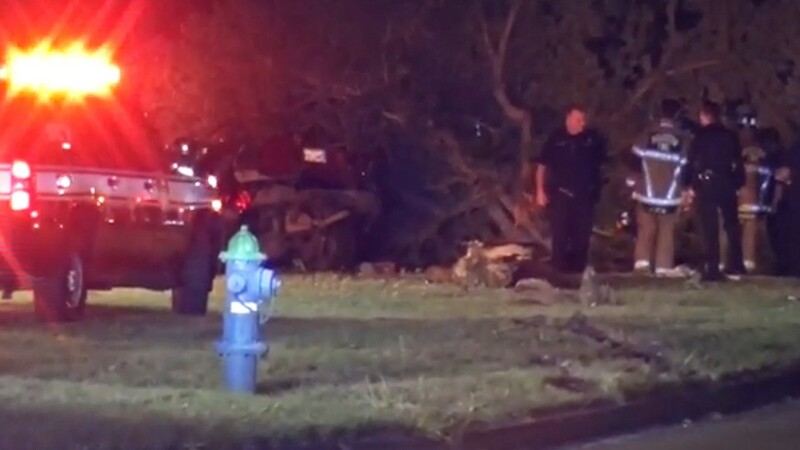 The two SUV’s were side by side, when the two teens inside the Explorer lost control, flipped several times and slammed into a tree. The two boys inside the Explorer died on the scene. The third boy, driving the Expedition survived. Police said he got out of the vehicle and checked on the other boys but then fled the scene. An officer on duty saw them, and pulled up to the scene seconds later. One of the deceased was identified by family members as 15-year-old, Javier Hunter. The other boy was identified as Javier's friend, 15-year-old, Sayvion Farley. As the sun rose Wednesday, family members of two the teenage boys watched as daylight brought to light the tragic truth. According to police, an officer saw two SUVs speeding eastbound on W. Fuqua. When the officer got behind them, the two vehicles collided. Clayton said he was texting with the boys while they were driving around Tuesday night. He said the victims were like family to him. “They hang with my little brother, so I treat them just like they’re my little brothers. Every time I see them, I tried to tell them ya’ll stay out of trouble.” Clayton said. Javier's aunt, Ivory Brown, says her nephew asked for her car keys around midnight, saying he was getting something from the car. She never expected what was to follow. “I should have seen the warning signs, but I didn’t. I usually catch him, but I did not catch him this morning, and the results of that took his life,” said Brown. She said Javier started learning how to drive when he was 11 years old. As police worked the scene early Wednesday morning, a mother of one of the teen's was seen distraught in the distance while his great-grandma watched in disbelief. “I can’t believe that’s him, I never got to see him that much,” said Della Mae Farley, Sayvion’s great-grandma. The devastating news was too much to bear for the family. “My heart is hurting,” said Farley. Brown wanted to know how this joyride turned deadly. Police say the 14-year-old driver in the Expedition did briefly get out of the car to check on them, after they crashed. But then took off again, as seen in the surveillance footage. 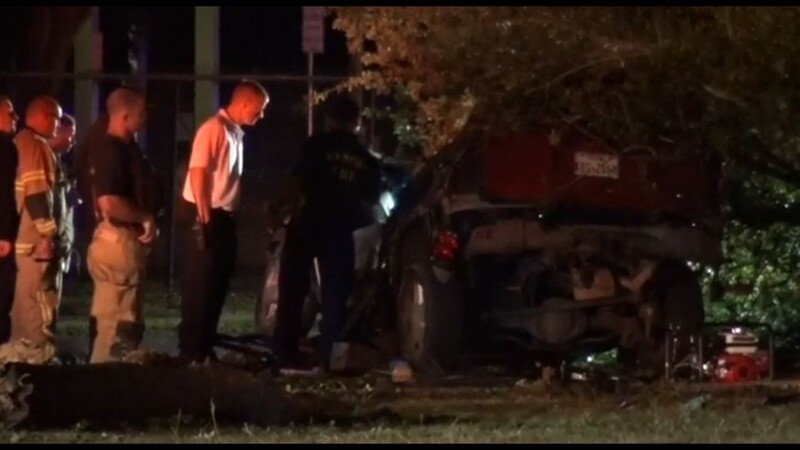 The teen was quickly detained by police, and is now facing two felony charges for his role in the deadly crash. 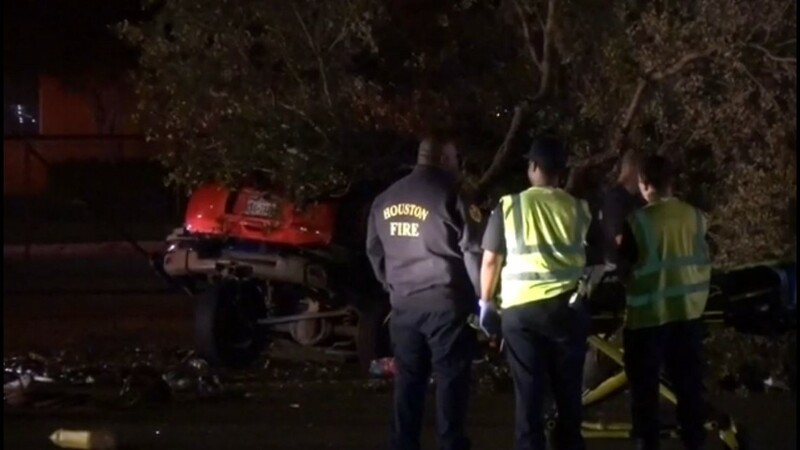 Officers said he’s been referred to Harris County Juvenile Probation, on charges of failure to stop and render aid and racing, causing death. “I hope that boy, Lord forgive me, but I hope he gets some time for what happened here,” Brown said. Clayton said all three were good friends and they just made a bad choice. “I know they was having fun, but they shouldn’t have been racing, they’ve got to abide by the laws out here,” said Clayton. Javier and Sayvion were 8th grade students at Lawson Middle School. The identity of the 14-year-old who survived has not been released. The Houston Independent School District said grievance counselors for students and staff will be provided as long as they’re needed.